Spirit of Hven is one of the world’s smallest distilleries, situated on a beautiful little island between Sweden and Denmark. 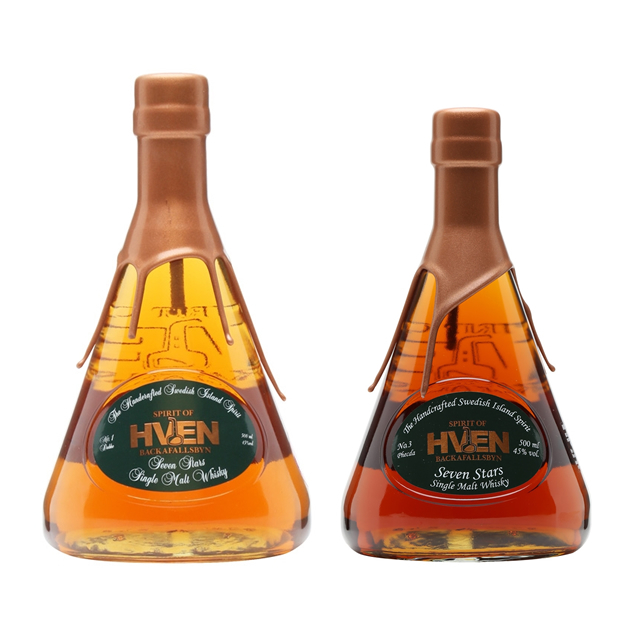 Single malt whisky production is the focus but various hand crafted spirits are produced by Master Distiller Henric Molin, all of them organic and always aged in oak casks (sometimes for years prior to a final distillation) without carbon or chill filtration. the tongue, and it has a nice balance between tannins and oiliness. with a slight note of leather in the horizon. Mouth feel is warm and soft without edges. and vanilla. The scent is held together by sweetness reminiscent of old port wine. aftertaste with an oily note, balanced well midst tongue. A slightly peppery finish. go to a picnic on a wet summer meadow eating a dark bread roll with hazelnut cream. red berries. The finish is medium long with a gentle smokiness balanced by vanilla.